Seeds (during facility phase) or plays on your ship or facility (except a Nor). Adds a Brig. 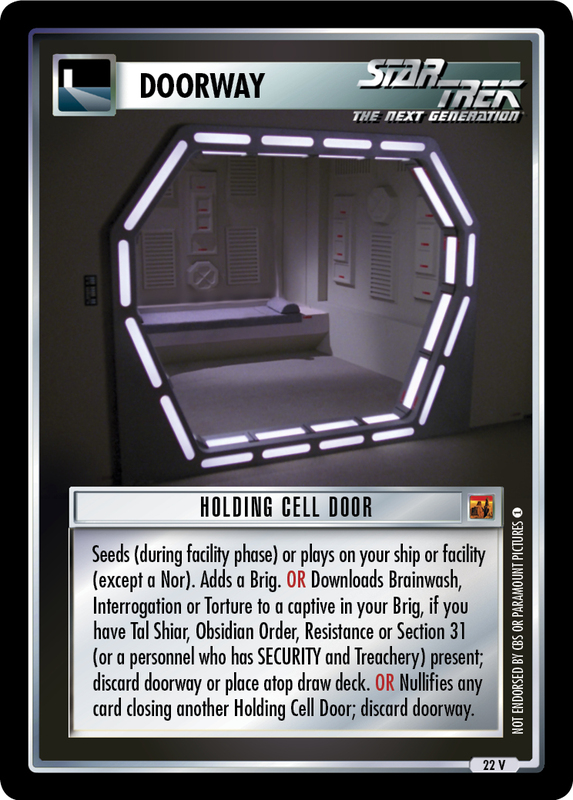 OR Downloads Brainwash, Interrogation or Torture to a captive in your Brig, if you have Tal Shiar, Obsidian Order, Resistance or Section 31 (or a personnel who has SECURITY and Treachery) present; discard doorway or place atop draw deck. OR Nullifies any card closing another Holding Cell Door; discard doorway.